The GIS Program offers custom products and services to a variety of clients using Geographic Information Systems. 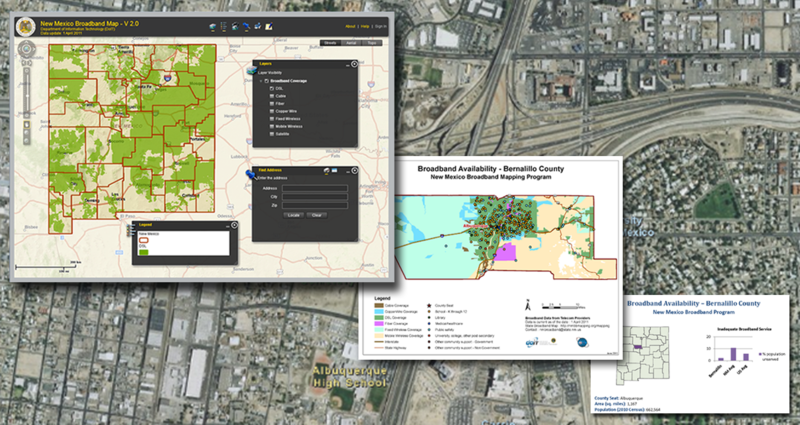 Our team provides GIS data, analysis, data management, and hosting services. We design and implement in-house and online GIS tools and maps. We work closely with our clients to understand their spatial needs, to provide guidance and consulting services, and to develop solutions that meet their needs. Our customers include both government and private organizations. Our expertise spans across a variety of fields such as Land Use, Natural Resources Management, Public Health, Schools, Telecommunications, Transportation, Urban Landscapes, and Utilities. For examples of our work, go to GIS Projects and Sample Products. Please contact Shirley Baros for more information about our GIS program.